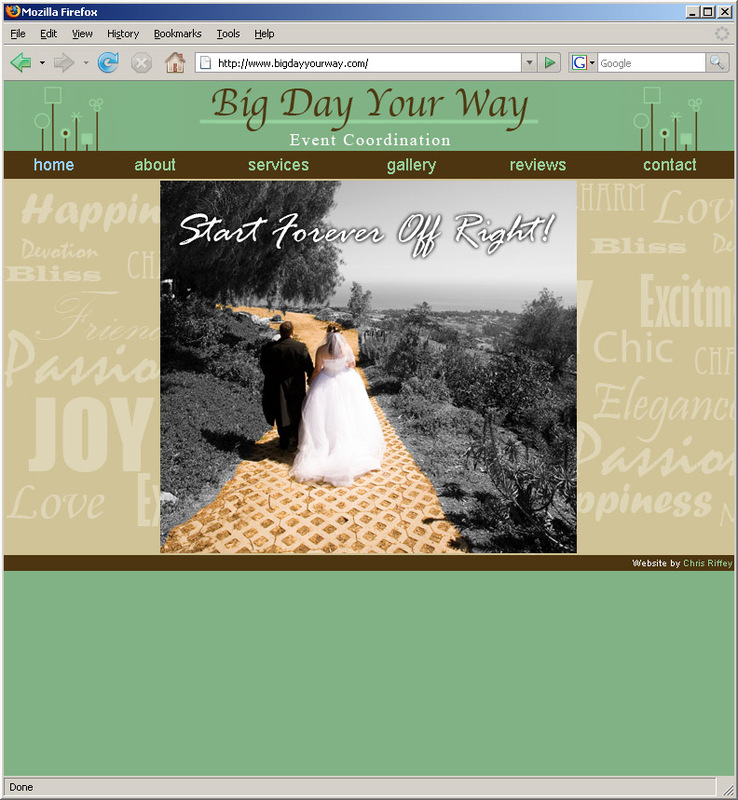 This was a website I created for the Big Day Your Way Event Coordination company. 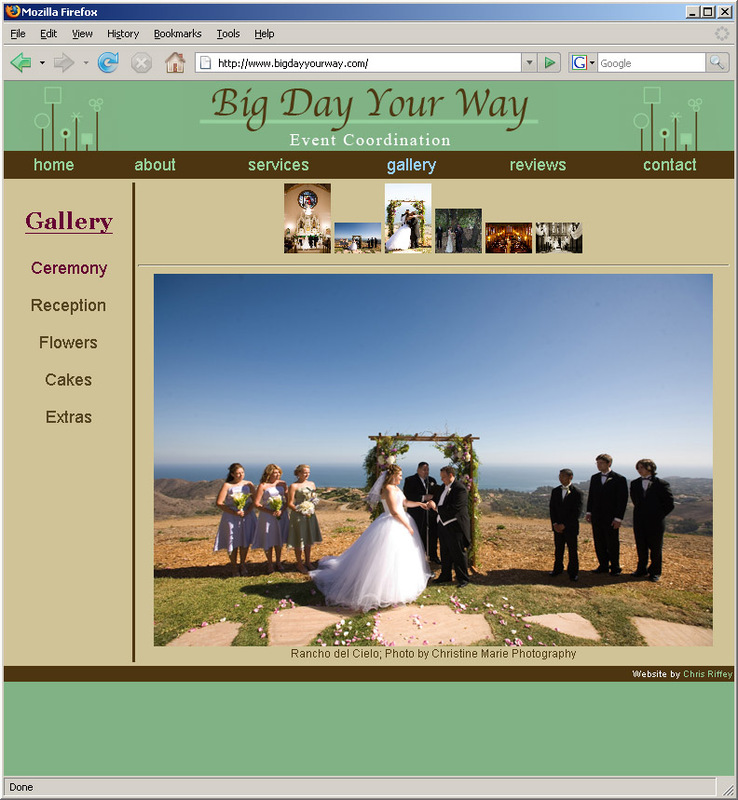 They wanted a very simple and clean-looking site that matched the colors in their logo. In addition to the static information content, they wanted to have an image gallery and review section that was regularly updated with new content. 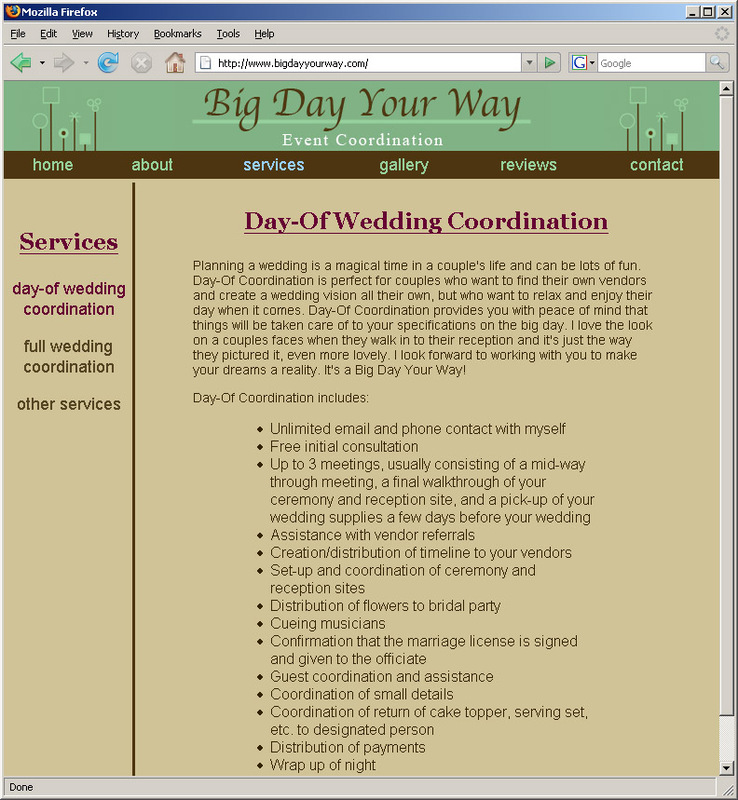 My goal was to create a self-contained system that the client could modify/update via a web interface without further interaction from the web developer. All code work was done by hand using Text Wrangler text editor. Majority of pages generated dynamically with PHP, reducing static content overhead/maintenance. 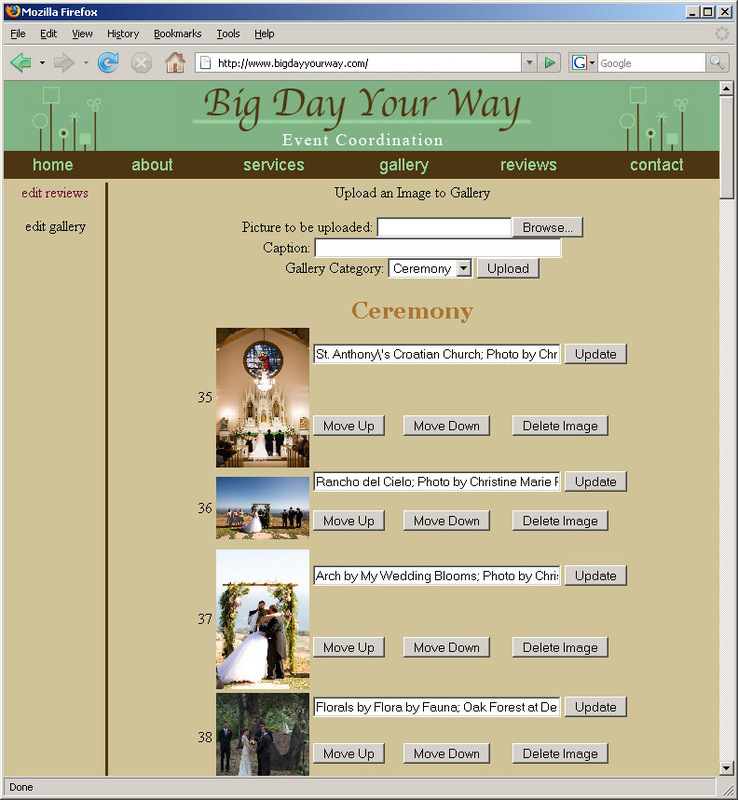 Administrator web interface that allows for uploading files and adding/editing/deleting content.